TruTrade has been selected as a semi-finalist in the global Nestle Creating Shared Value Prize. This year the prize award process is being managed by Ashoka, the world’s leading network of systems-changing social entrepreneurs, to search for, support and accelerate solutions tackling the biggest issues in water, nutrition and rural development. There were over 1,000 entries and we are now one of 50 semi-finalists. Our service brings together the ‘supply power’ of thousands of smalholder farmers, to engage directly with volume buyers and benefit from economies of scale. This gives farmers a better deal on their agricultural produce. 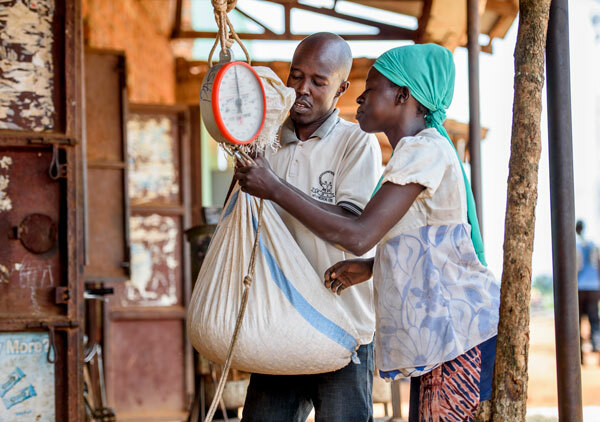 TruTrade’s approach to Creating Shared Value ​is also as an enabler for agribusinesses and other buyers of agricultural produce to also Create Shared Value through their purchasing power. We provide all sourcing information to buyers and are engaging them to see how they can use our origination data to develop premium products and build more sustainable supply chains. ​We are waiting to see if we will make it into the finals. To follow the prize see https://www.changemakers.com/creatingsharedvalue. TruTrade is a member of The Gorta Group.